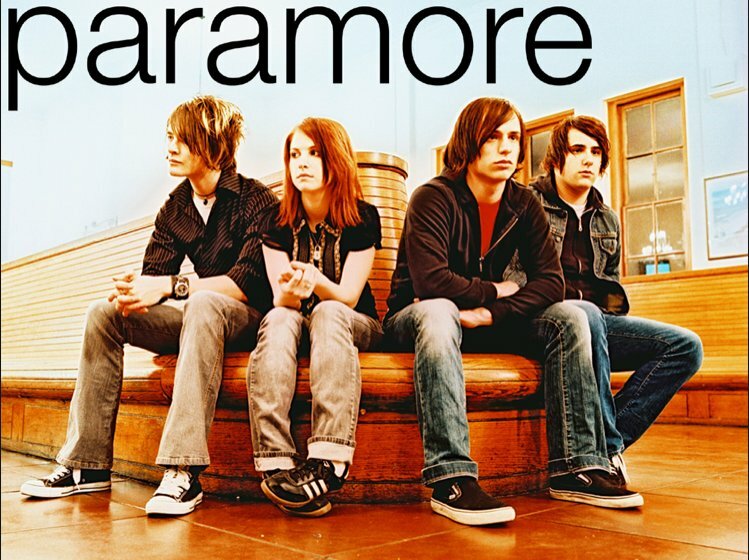 Photo gallery of members of the band Paramore wearing chucks. 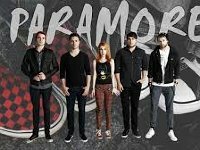 1 Paramore Paramore casual photo. Taylor York is wearing a pair of black and white Chuck Taylors. 2 Paramore Casual band photo. 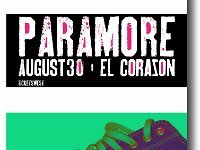 Hayley Williams is wearing high top chucks. 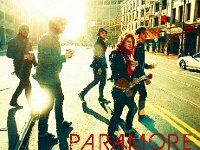 3 Paramore The band walking across a city street. 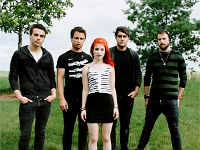 4 Paramore Posed band photo. 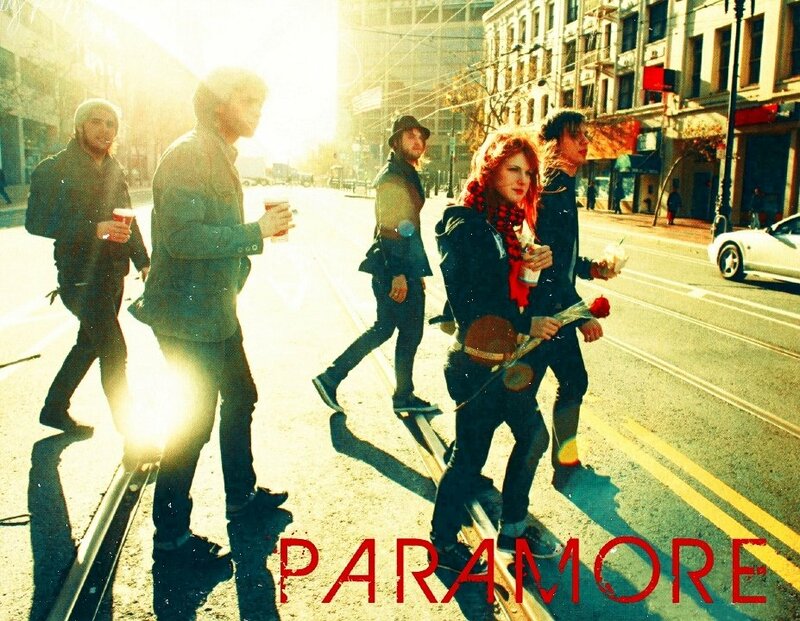 Taylor York is wearing a pair of black Chuck Taylors with black shoelaces. 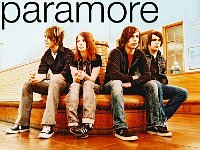 5 Paramore Poster shot of the band. Taylor York is wearing a pair of black Chuck Taylors; there are also chucks in the background. 6 Paramore Posed shot of Paramore. Hayley Williams is wearing black chucks. 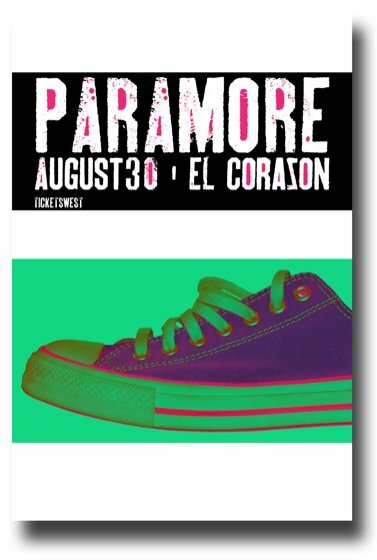 7 Paramore Concert poster for Parmore with an image of a low cut Chuck Taylor sneaker. 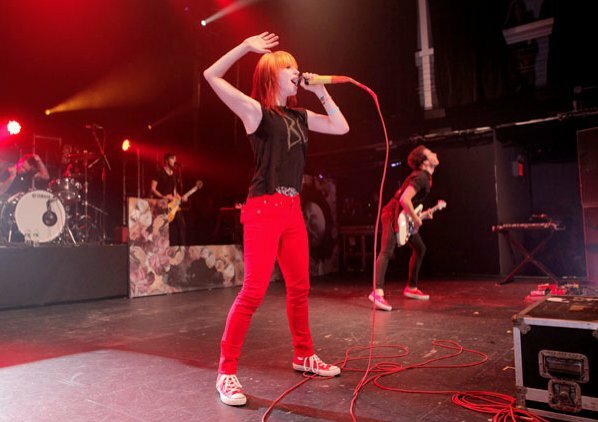 8 Paramore Hayley Williams in concert wearing a pair of red high top chucks, shot 1. 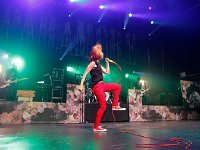 9 Paramore Hayley Williams in concert wearing a pair of red high top chucks, shot 2. 10 Paramore Hayley Williams in concert wearing a pair of red high top chucks, shot 3. 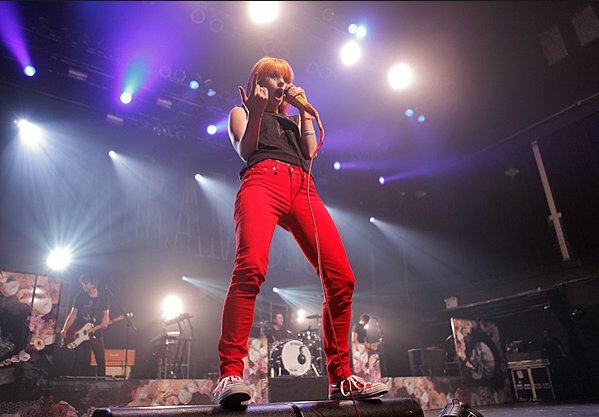 11 Paramore Hayley Williams in concert wearing a pair of red high top chucks, shot 4. 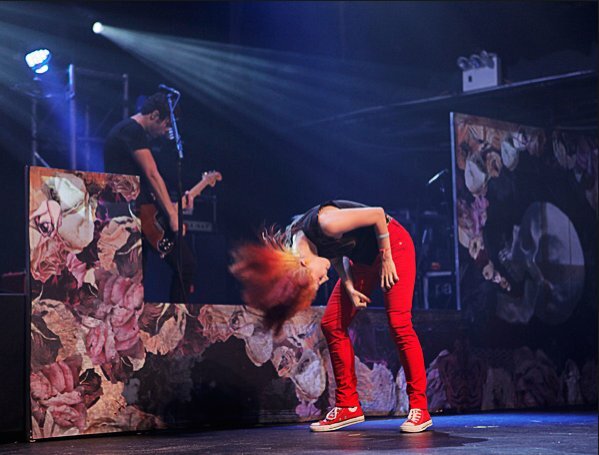 12 Paramore Hayley Williams in concert wearing a pair of red high top chucks, shot 5. 13 Paramore Hayley Williams in concert wearing a pair of red high top chucks, shot 6.